Adding money to your Wii U's eShop account will net you a 10 percent bonus courtesy Nintendo, in what may be the most transparent cry for attention since your teenaged goth phase. 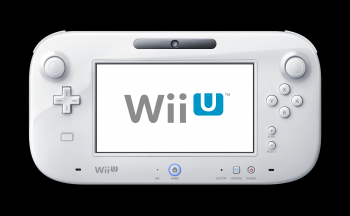 Nintendo's WII U hasn't exactly been the smashing success the company might have hoped. It's not a bad system, but it is graphically inferior to the consoles Microsoft and Sony are about to release, and more crucially, the device's selection of games is woefully lacking. The technology behind it is quite cool, and if you find something you like to play on the Wii U it's a great console, but the trouble is in actually finding something you'd want to play. In an effort to make that a bit easier, Nintendo is willing to straight up give you money to use its latest system. Specifically, anyone who adds $50 to their Wii U's eShop account between now and July 28 will receive an extra $5 automatically. Deposit $100 and you earn $10. Pretty simple, right? If this scheme intrigues you, keep in mind that these bonuses are not instantaneous. According to Nintendo, those people who qualify for the extra cash will receive a code via email on August 2 that they can redeem for their money. It's interesting to note that August 2 happens to be a mere two days prior to the release of Pikmin 3 -Â and by "interesting," of course I mean, "Nintendo really, really wants you to buy Pikmin 3." Full details on this promotional offer can be found by visiting Nintendo's official site. You've only got five days left before this initiative runs out, so if you were planning to pick up something for the Wii U anyway - Earthbound, anyone? - it's not such a bad deal.